What Is The Best Bulking Program? What is the best bulking program? I'll go over the basic and advanced methods of bulking and lay out a training program for you to follow or just take advice from. Try it out and see if it works for you! There's no point in cutting if you haven't already bulked. This bulking phase should be taken to the extreme. The bulking program should be focused on gaining huge amounts of muscle. What is the best bulking program? Be specific. How long should this program be followed for? With proper diet, what kind of results can one expect from this type of routine? Which form of training do you think would be best for bulking, Max-OT, HIIT, Doggcrapp etc., etc.? Why? What should cardiovascular exercise be like when bulking? For some it may be good news, for some it may be bad. Winter is approaching, and it's time to switch to a bulking phase. While cutting means we are leaner and maybe even have better endurance, we can't cut forever. There is a time when we must go back to the high calorie meals in pursuit of muscle gains. Often people will feel confused on what to eat, how to train and which supplements to take during a bulk. Since bodybuilding does not produce instant results, it could take months or even a couple of years to find the right way to bulk. You want the increased muscle mass, but don't know exactly what to do to achieve that without gaining much body fat. Well in this article we'll go over the basic and advanced methods of bulking. We'll lay out a training program for you to follow or just take advice from. The ideal bulking diet will be discussed, along with the subject of cardio during a bulk. There's a lot of things to discuss in this article, so sit back, grab a protein bar (after all it's bulking season), and read all about how to correctly bulk. Just as with cutting, there are 3 main factors of a proper bulking cycle: the workouts, the diet and the supplementation. First we will discuss the diet. To gain muscle, you need to consume more calories than you use. And this will result in some fat gain. Now the amount of fat gain depends on various factors. Think of your body as a car that you have to fill up with gas (food), before you start it. Any unused gas is wasted (stored as fat). How much gas do you put in the tank? Well you can estimate that you'll only be driving to the grocery store, which is 10 miles roundtrip. However you don't know how bad traffic congestion is today. Will you also want to make a stop at the post office? What about a friend's house? Since you do not know the exact distance you will be driving, you will have to estimate and put in a little more just in case. This is the exact same thing you must do for your body. If you just eat blindly, without somewhat knowing what you are eating, then you will either not consume enough food or will consume too much. The first thing to do when planning your bulking diet is to find your daily calorie expenditure. Tip: Use our online calculator. Once you have that number, add 800 to it. This new number is what you will aim for each day in terms of total caloric intake. For this article, let's assume our number came out to be 3500. We have our total calorie intake, but it does not help us much if we don't know how to correctly distribute these calories. If we somehow conjure a meal that is 3500 calories and eat this whole meal in the morning, the results would not be pretty. 600 or so would be used for normal functions, while the other 2900 calories would be excreted or stored as fat. This is a huge mistake that many people make. They will go to a restaurant, order a main course that has around 700 calories then get dessert at the end, which adds 500 calories to their meal. While the main course may have all been used to build muscle and function the body, in essence eating the dessert was the same as eating a slice of body fat. So how do we find out how many calories we should eat each meal? Simple, just divide the total number of calories with the amount of meals you get in a day. Remember that one of the ten commandants of bodybuilding is "Thou shall eat more than 3 meals a day." So let's assume we eat 7 meals a day, remember this includes post workout shakes. 3500 (total calories) / 7 (meals a day) = 500 calories each meal. Now of course there is no way to count your calorie intake to a perfect tee, so just estimate. If you eat a meat pie that the box says has 410 calories a serving with a glass of milk that has 80 calories per serving, then 490 is close enough of a number. You do not have to search for a tootsie roll to fill in the other 10 calories. We now have our diet for the day planned out, eat 500 calories per meal for 7 meals. But this raises the question: what do we eat? To understand what the best food for a bulk is we must learn the basics of nutrition. We need each of these in different amounts. Carbohydrates are what our body uses for energy. Carbohydrates are available for immediate use when needed. In excess though, they are stored as fat. This is why you hear about some popular diet fads that recommend cutting out carbohydrates completely from your food. The problem isn't the carbohydrates, but the amount of them that people eat at a sitting. 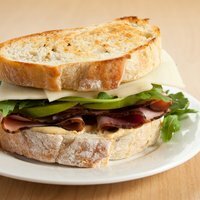 Out of the three types of calories, carbs are the most eaten by far in average people's diets. Why do people eat so many carbohydrates? The answer is because the ones that eat so much often don't know what they are or how they work. Almost all food has carbohydrates in it. The two most prevalent forms of carbohydrates are sugar and grains. Now think of all the food that has sugar and grains in it. Some of the obvious sources are candy, soft drinks, breads, pasta, rice and cereals. Now some of the least obvious sources are milk, barbecue sauce, fruits and juice to name a few. We like to say that the food we like most is the food with the most fat. This is not always true, often the food we like most does not have high fat content, but carbohydrate content. 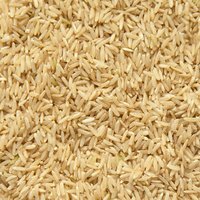 It's important to understand the amount of carbohydrates you consume, because they can catch you quickly ... just take a look at the nutrition facts for a bag of rice or pasta. Incidentally rice and pasta are also examples of simple and complex carbohydrates. Simple carbohydrates are unhealthy forms while complex are the healthy forms. "The two most prevalent forms of carbohydrates are sugar and grains." Simple carbohydrates include sugar, white rice and white bread while complex carbohydrates include wheat bread, brown rice and whole grain cereals. Usually when dealing with carbohydrates, "If it's white it's bad, if it's brown it's good." As a bulker, carbohydrates should consist of 40% of your total calorie intake ... Next we will discuss proteins. Protein is what serves as structural support for our body, which is known as our muscles. Protein is used to repair our muscles after a workout and to build them further. Remember that our muscles repair themselves most during sleep, however some during the day. This is why it's important to spread out your protein intake over the entire day. It is recommended to get around 1 gram of protein per pound of bodyweight. 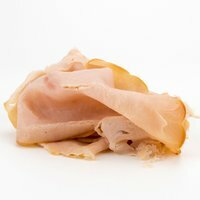 This number can vary up or down, as some people recommend 0.8 grams of protein per pound while some recommend up to 2 grams per pound. Protein is abundant in foods such as fish, red meat, poultry, milk, nuts and eggs. Unlike carbohydrates, there is no "healthy" and "unhealthy" form of protein. However what you eat that has protein in it determines if it's a good food or not. A Pizza Hut pizza may have protein in it, but it's also loaded with saturated fats and simple carbohydrates. This is generally where bulkers go wrong. They assume that if it's loaded with protein and calories then it is a good bulking food, in reality it's a good fat gaining food. 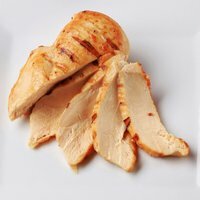 Now on the other hand a chicken breast or a grilled fish fillet has a great deal of protein in it, and they're lean sources too which makes them great bodybuilding foods. There are two main types of protein, whey and casein. Whey protein is absorbed fast by the body, which makes it great for post-workout nutrition. Casein protein is absorbed slowly, which makes it great for long periods when you will not have anything to eat, such as when sleeping. As a bulker, proteins should consist of 40% of your total calorie intake. Fats have their bad forms and good forms. Saturated fat, which is mainly found in cooking oils (coconut oil, peanut oil) and butter, is the unhealthiest form of fat. The healthier fat is called monounsaturated fat. This fat is found mainly in olive oil, sesame oil, nuts, avocados and fish oil. Another type of healthy fats is the EFA's (Essential fatty acids). These are found mainly in flaxseed oil, leafy vegetables, fish, shellfish and nuts. 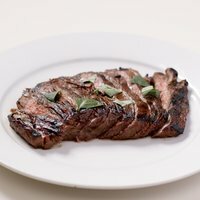 EFA's should always be a part of your diet, as they maintain healthy skin and hair, maintain body temperature, promote healthy cell function, and are the only way your body can absorb vitamins A, D, E, and K.
Now the trick to bulking is gaining the most muscle while being efficient with fat gains. If you start eating 6000 calories a day you may gain a little more muscle than eating 3500, however your fat gain would be insurmountable. Bulking is the art of eating just the right amount of calories for your body to build muscle, not any over. A healthy bulking diet may seem like a burden, especially at first. However after a few weeks you'll adapt to having to eat many meals a day and buying more food at the grocery store. Buy a bag of frozen chicken breasts or frozen fish. These can be used to quickly prepare a meal. Just defrost two or three breasts at a time, and eat one a day. Use nuts to your advantage. Almonds, peanuts, mixed nuts, they all are high in essential fatty acids, calories and are a good source of protein. Lean beef jerky also works well for a good and quick protein source. 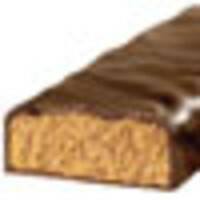 Find high calorie protein bars and protein shakes. They are the easiest and quickest meals to consume. My personal recommendations for protein bars and shakes will be listed in the supplementation section. Milk is a fast way to up your calorie intake for a meal. Water does not have any calories per serving, while skim milk has 80 calories per cup. 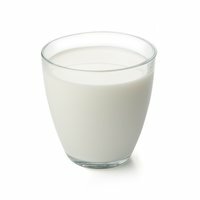 Replacing water with milk for your meals during the day is an easy way to increase your daily calorie intake by 400 or more calories. Supplements are just what they are named, a supplement (addition) to your workout and diet. They should not be used to replace a diet, but to aid it. While it would be ideal to consume many supplements a day, unless you have an unlimited income then that isn't possible. Below I have listed five supplements in order of importance to a bulking diet. There is no easier way to increase your protein consumption than mixing powder with milk in a blender. Like I mentioned above, there are two types of protein for our purposes, whey and casein. Whey is used for rapid absorption and casein for slow absorption. There is no greater benefit in a bulking diet than taking a casein protein shake before bed or a whey protein shake after a workout. 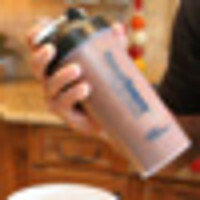 Recommendations - My favorite protein shake for post workout is the Met-Rx meal replacement. The Berry Blast flavor has an awesome taste that cannot be beat. It has a great mix of whey and casein protein, and along with two cups of skim milk, your body will have enough protein to last a while. It is impossible to eat foods that contain all of the vitamins and minerals your body needs daily. Multivitamins fill in this gap to keep your body running at high efficiency. Recommendations - Some vitamins consist of up to 11 tablets in only one serving. These vitamins are expensive and not worth the price for a few milligrams of substances that is even unknown to be beneficial or not. I take AST Multi Pro 32X. It has all necessary vitamins and minerals at a low cost. Creatine is naturally used in your body to increase ATP production, which is energy for your muscles. However as bodybuilders, we required more creatine than what we consume in our meals. This is where creatine supplementation comes in, our muscles are fueled to lift more weight for more reps. 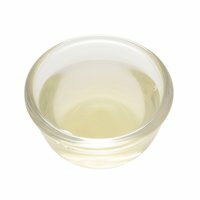 Recommendations - There are ongoing disputes on whether creatine ethyl ester (creatine designed for efficient absorption) actually works or is turned into waste as soon as it enters the body. For this reason I stick with the proven supplement, creatine monohydrate. Like protein shakes, these serve as a meal addition or replacement. They are great for people who do not have time to fix meals every 2 or 3 hours. Recommendations - Muscle Milk RTD's taste great and can be used to replace a meal at times. They are inexpensive for a RTD and come in various flavors. Nitric Oxide has been recently getting a lot of promotion in the media for a great supplement, and for the good reasons. Nitric Oxide increases nutrient delivery to your muscles, which is especially good for during and post workout. During a workout it allows you to lift more weight for a longer period of time and after a workout it serves as a means to help repair your muscles. Not to mention that it also gives you a great "pump" feeling during the workout and extreme vascularity. Since we are bulking we want to cater our workout to not only size, but strength also. Building strength equals more weight able to be used for workouts, and that means more size gains in the long run. As our cardio will be cut down for the bulking phase, we will be able to spend more time weightlifting. We first start off with a 2-day split, which means we will work our entire body in only 2 days. However we will not only workout 2 times a week, we will workout 4 times a week, meaning our body will be fully worked twice a week. So our routine begins with weightlifting on Monday, Tuesday, Thursday and Friday. Note that these don't have to be set days, they just provide a template. The idea is to workout 2 days in a row, followed by a day of rest, followed by 2 more days of weightlifting which is completed with 2 days of rest. As you can see from the above chart, this workout hits every body prt with various exercises for the best efficiency. For the reps and sets listed, you should do the maximum weight possible for the rep range. The first part of the week consists of low reps with high weight to focus on strength gains. The second part of the week uses moderate reps with moderate weight to deliver more blood and nutrients to the muscles, focusing on size gains. You should aim for 90 seconds of rest between sets and three minutes of rest between exercises. Your workouts should not last longer than an hour when using the right amount of time devoted to rest. Training partners motivate you to try your best during sets, help rack weights, spot you on certain exercises and most importantly motivate you to not skip workouts. Having a training partner is like leaning against someone back to back, you cannot fall down if someone is leaning against you. Water is used by your muscles to function, and is thus important during a workout. The key is not to chug down water, but rather sip a little between each set. A glass of ice cold water is refreshing between sets. The weight room mirrors will teach you proper form during your exercises and can be a great motivational tool, to actually see yourself lift the weight. Often we do not remember how strong we've gotten since the beginning of our workouts. A log is a great tool to use as a reference to how many gains you've made. Even more so than weightlifting increases, we do not notice the change in our bodies from working out because we see ourselves everyday. Taking pictures every month or two is great motivation and reference guide. If you do not have access to equipment needed in the above workout, then don't hesitate to switch up the exercises. Changing exercises every so often is great to prevent muscle adaptation too. For information on other exercises, visit this link. Even though this program has heaps of great information, it is geared toward a bulking routine. This program should be followed for as long as you wish to bulk. Now the question is how long do you want to bulk? A good rule of thumb to ask yourself is, "Would I be comfortable in public without a shirt?" If the answer is no, ask yourself why. Is it because you are too skinny, or too fat? If you are too skinny, then it's obvious you want to continue your bulking routine. If you are too fat, then you want to stop bulking and start cutting. It is not unusual to bulk or cut for years straight. If you start bodybuilding at 6-foot-0 120-pound then it may take a couple of years of bulking before having to cut. Likewise if you start at 400 pounds it may take a couple of years of cutting before having to bulk. As for how long the workout routine should last, I recommend doing it for 12 weeks followed by a week of rest before starting it over again. Of course 12 weeks is not set in stone, you must listen to your body. If you feel worn out after 10 weeks then take a week break then. Proper weightlifting is all about listening to your body, as everyone is made differently. "If you start bodybuilding at 6-foot-0 120-pound then it may take a couple of years of bulking before having to cut." Your body has no choice but to grow with this routine. With the proper diet and 7-9 hours of uninterrupted rest, your body will have to adapt to the workload. The amount of muscle gained from a routine depends on the experience of the weightlifter, all other factors the same. It's a known fact that a new weightlifter will gain muscle faster than an experienced weightlifter. For an experienced weightlifter, you can expect around 1 pound of lean muscle mass per two weeks. As for a new lifter, one can expect 1 pound of lean muscle mass per week. Both 1 pound of muscle gain a week or every two weeks is fantastic progress. The more you put into a workout routine the more you get out of it, and there is much potential muscle mass ready to come out of this one. Limiting one's self to a specific type of training does not do much good. There is no magical formula when it comes to training. If there would be then it would be common knowledge, like the knowledge that protein is used for building muscle. Even the workout I listed above should not be relied on forever. It is always ideal to change the exercises done and the way you do them. All exercise programs are, are just research ideas put together. Some programs are put together with less research and some with high research. What consists of good research? Well below are some tips to make your workouts more efficient, building more muscle within a shorter period of time. They are the same tips I use when designing my workout programs. Work every body part. Until one does their research, many muscles are overlooked in training. Neglecting working out one muscle will only make yourself appear smaller than what you could be. Give your body parts time to rest between workouts. Doing bicep curls two days in a row will not help your gains, it may even hurt them. However this does not mean that you can't work biceps directly one day, and the work them indirectly the next. An example of this would be doing bicep curls on a Monday then doing pullups on a Tuesday. I believe that an exercise such as pull-ups does not put enough stress on biceps as to where you should hold off doing curls the next day. Alternate the set/rep range. In order to delay muscular adaptation and to vary size/strength gains I prefer using moderate weight with moderate reps one half of the week and low reps with high weight the other half. Increase the weights or reps. It is all too easy to get into a routine of using the same weight and rep scheme week in and week out. In order to build your muscles, they need to be constantly challenged. This challenge is to push them harder than they were the previous week. Burn a large amount of calories in a short time. Now since we are not cutting, burning a large amount of calories in a short time is obviously unnecessary and against our goals. Doing cardio for increased endurance is the only reason you would want to do cardio on a bulk. When considering your cardio routine, I suggest doing it on an off-day from weightlifting. So in the workout I mentioned above, cardio could be done on a Saturday. In this case you'd wake up on Saturday, eat a large portion of carbohydrates for energy, and later do intense cardio for about 20 minutes. Any type of cardio that raises your heart rate can be done to increase your endurance. Jogging, boxing, cycling, swimming, and the stairstepper are some examples. Just remember to increase your calorie intake on your cardio day to compensate for the calories being burnt. For more information on cardiovascular exercise, visit here. Well that's it, bulking explained in depth. Knowing how to properly bulk is one-half of bodybuilding, the other being how to cut. Bulking does not have to be a burden; in fact it is a welcome gift after a summer of cutting. When bulking you have the opportunity to eat more food, and worry less about getting too many calories in one meal. During a bulking phase you will have more energy because your body is not running at a deficit of calories. So enjoy your winter bulking, by the time spring rolls around we'll be ready to get back into the cutting routine. But for now I will sure enjoy my Thanksgiving and Christmas meals!